Common cold is a viral infection that affects the nose and the upper respiratory tract also known as the throat. Many viruses can cause this and it is a harmless medical condition though it has many discomforting signs and symptoms. Common cold is mistakenly taken as flu most times but there are differences between these two conditions that look similar. 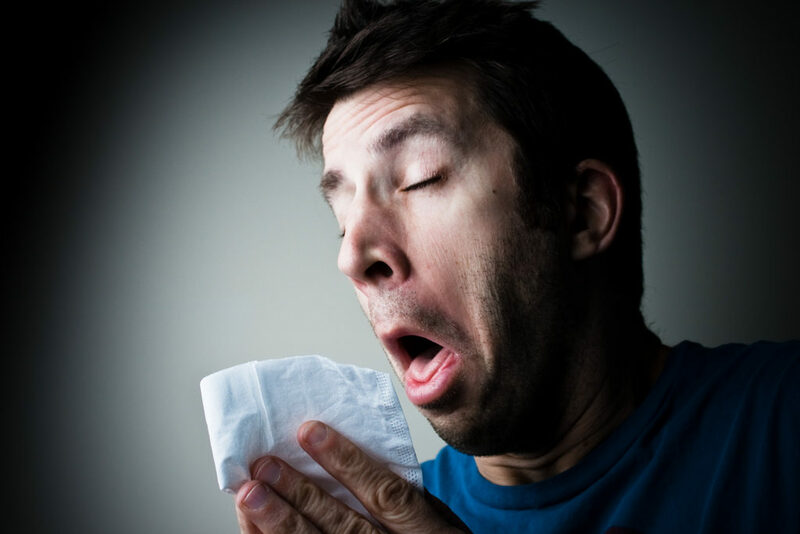 The main difference between flu and common cold is that common cold is milder when compared to flu. Common cold lasts for a few days while the symptoms of flu can persist for weeks and it can lead to serious health problems like pneumonia and in severe cases, the patient might be hospitalized. A runny nose (that is clear and runny for the first few days but becomes darker and thicker after some days). The symptoms usually clear away on its own but it lasts for about a week with the first three days showing intense symptoms and you can easily spread it during this time. These home remedies will hasten healing and reduce the duration and severity of this infection. They can even kill the microbes behind the infection. Below are the effective home remedies for common cold. This vitamin will boost your immune system and help you overcome this infection in a short time. Take lots of fruits, especially citrus fruits, and vegetables. It also has antimicrobial and antiseptic properties that can kill the microbes causing this infection. Take lots of oranges, grapefruits, lemons, limes, and green vegetables. Take lots of homemade unsweetened fruit juices and smoothies, this will also hydrate the body and help it expel all harmful microbes. The active compound is cinnamon cinnamaldehyde boosts the immune system. It relieves all the symptoms of common cold including headaches, sore throat, and pains. Take a cup of cinnamon tea three times daily till you recover. Fenugreek is effective in relieving the symptoms of common cold. It fights inflammation and it kills harmful microbes because it has a strong antimicrobial property. Boil a tablespoon of fenugreek seeds in a cup of water and strain, drink when cool. Do this three times daily. Red onion juice is a great remedy for many ailments in folk medicine, inhaling onion essential oil treats cold and relieves the symptoms. Take some tablespoons of onion juice regularly during the day. To make onion juice, blend some onions and extract the juice using a sieve. Store it in a good container with a lid and take it regularly. You can also use onion syrup to cure common cold. It’s easy to make onion syrup; put some slices of onions in a small jar and add raw honey. Cover the jar and leave it for 15 hours. You will get thick syrup which is called onion syrup. Take tablespoons at regular interval during the day. This is a powerful combination and a popular home remedy for common cold. It clears congestion, it relieves pains and headaches, it helps regulate the temperature of the body and relieve other symptoms of a cold. Grate fresh roots of ginger and turmeric and boil them together in one cup of water. You can use the powder if their fresh form is not available. Remove it from heat after boiling and strain it. You can add lemon juice and honey and take it when cool. This soothes the throat and relieves other symptoms of common cold. It also has strong antimicrobial and antiseptic properties which can kill harmful microbes behind this infection. It fights coughs in both children and adults and it stops a nighttime cough. It also decreases the secretion of mucus and it is even recommended by the World Health Organization for treating cough in children above the age of one. Take two tablespoons of raw honey three times every day and also take at night when you want to go to bed. This herb called “the king of spices” is an effective home remedy for common cold. It kills microbes and decongests the respiratory airways, it relieves throat pain. Cough and cure common cold. Add this spice to your meals generously when suffering from common cold. You can inhale the aroma but this should be done carefully to avoid choking. You may also try and gargle with a solution of black pepper. Add one teaspoon of black pepper inside a glass of warm water and gargle with this. You can do this three times daily. Allicin and other organosulphur compounds present in garlic have strong antiviral and antibacterial properties. This wonderful herb relieves the symptoms of cold and treats the root cause, it opens the respiratory airways, and it expels toxins from the body and boosts the immune system. Take lots of garlic when having a cold because it takes a high concentration Allicin to cure a cold. Allicin is activated by air so chop fresh garlic into small pieces and expose it to air for few minutes and then swallow it with the aid of water. This makes the body inhabitable for viruses, bacteria and other microbes that cause infections. It balances the pH of the body and relieves most symptoms of common cold. Add a tablespoon of unfiltered and organic ACV to a glass of warm water. Take this solution three times every day. If you notice any of the following symptoms, please try and see your doctor immediately.